We expect Daniel Day-Lewis to be brilliant in Steven Spielberg’s Lincoln, if only because the master thespian has been so outstanding in virtually every film role that when he falls slightly short of greatness, we’re mildly surprised. And yet, we’re still shocked by the authenticity of his look while playing our nation’s 16th President for the benefit of Spielberg’s anticipated biography. This appears to be Lincoln sitting in his fateful seat at Ford’s Theater, minutes before the assassin John Wilkes Booth takes the president’s life – so the shot suggests that Spielberg will be able to reenact that tragic moment in our country’s history. The rest of Lincoln, though, is largely a mystery. The director and award-winning screenwriter, Tony Kushner (Angels in America), initially were working off of Doris Kearns Goodwin’s historical tome Team of Rivals, but it’s unclear how much they’ve pulled from that book. 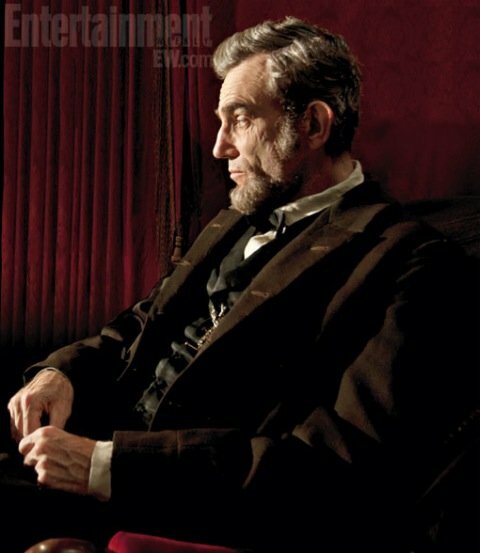 The EW.com article says the film will document the last four months of Lincoln’s existence, with the leader trying to fully abolish slavery as the Civil War drew to a close. We won’t be slow in deciding whether or not to see Lincoln when it opens on Nov. 9. The bigger question will be how the Academy responds to what looks like Oscar bait. We’ll see soon enough. For now, this first image is breathtaking, and now we’re itching to see a trailer, which has to drop soon.